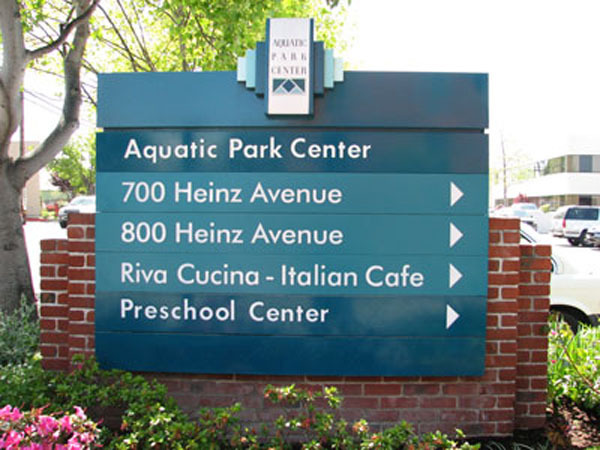 We are proud to offer the Insight Modular Sign System–learn more about this flexible and affordable option today for Wayfinding & Directory Signs today! It is very common for businesses to share buildings and office space with other businesses. 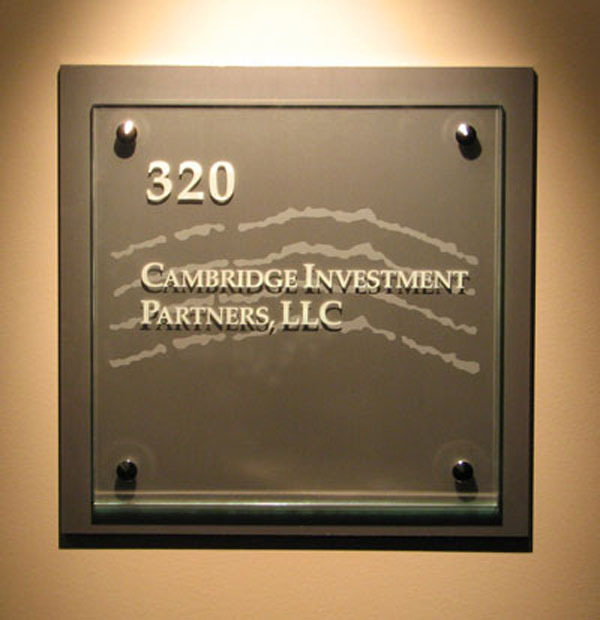 For property managers, you can make tenants happy by providing high-end directory signage. 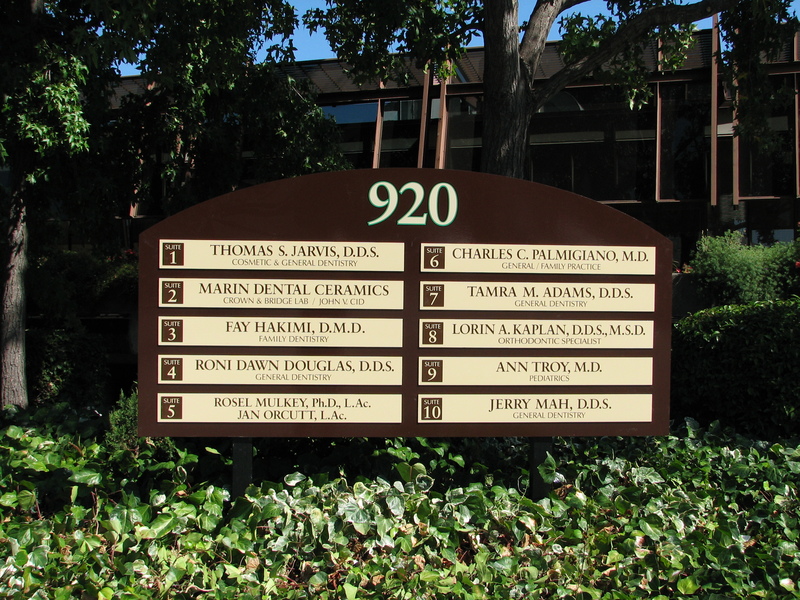 We can create a diverse line of custom directory signs that allow for individual branding or your tenants; while still maintaining the look you envision for your brand throughout the property. The Bently Reserve Conference Center in San Francisco desired to have directory sign program that complimented their elegant interior design. 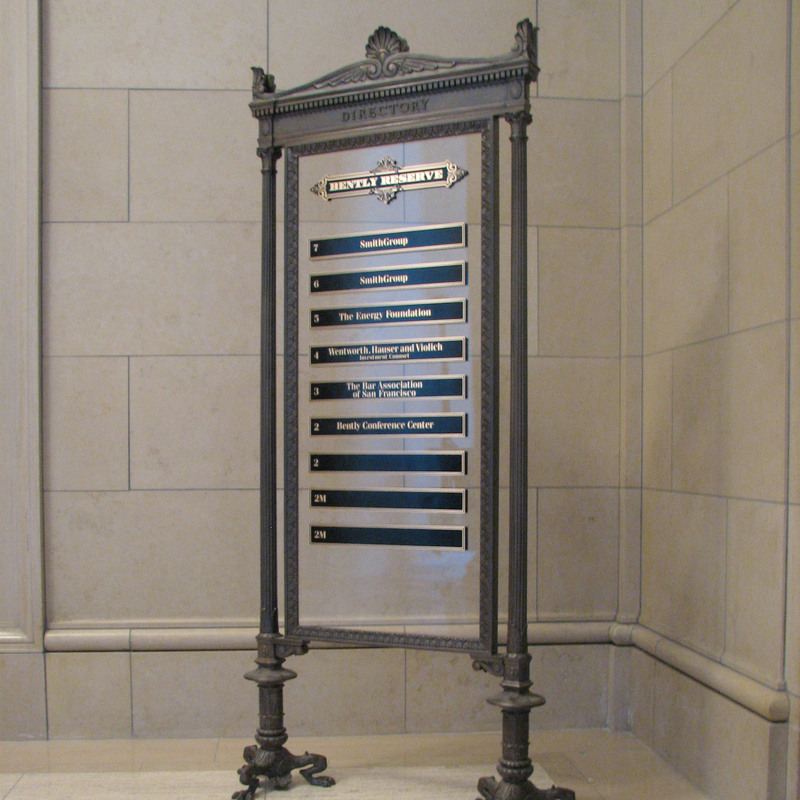 We worked closely with them to ensure that this high-end directory sign featuring a wrought iron frame, glass, and custom bronze plaques that exceeded their high expectations. 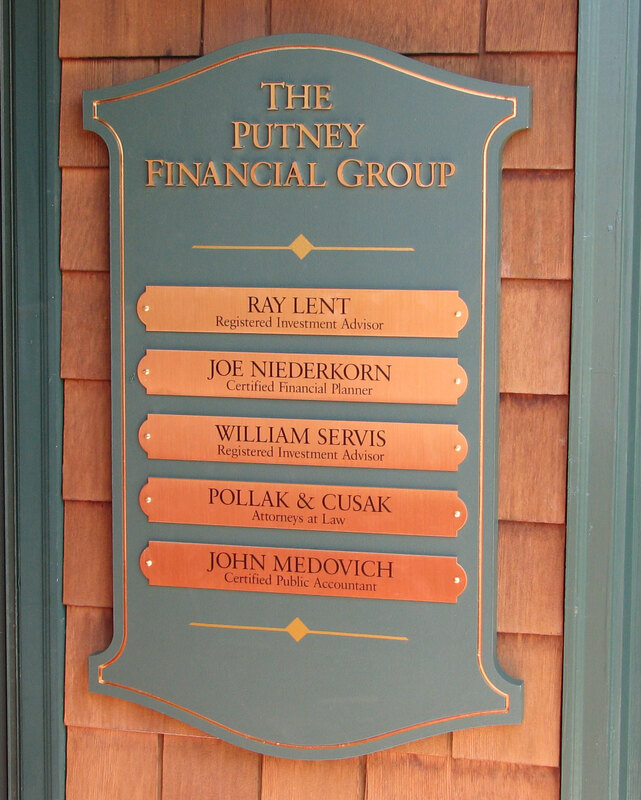 The Putney Financial Group wanted a directory sign that would convey stability and elegance. We color matched the background to the color of the building and utilized copper plaques with vinyl lettering to achieve this goal. This unique and affordable option is all vinyl and completely customizable. Belvedere Place office suites wanted to integrate their unique logo into the background of all of their wayfinding signage. We did this by placing the vinyl claw marks on a darker background and lettering over a glass plate to create readability and depth. 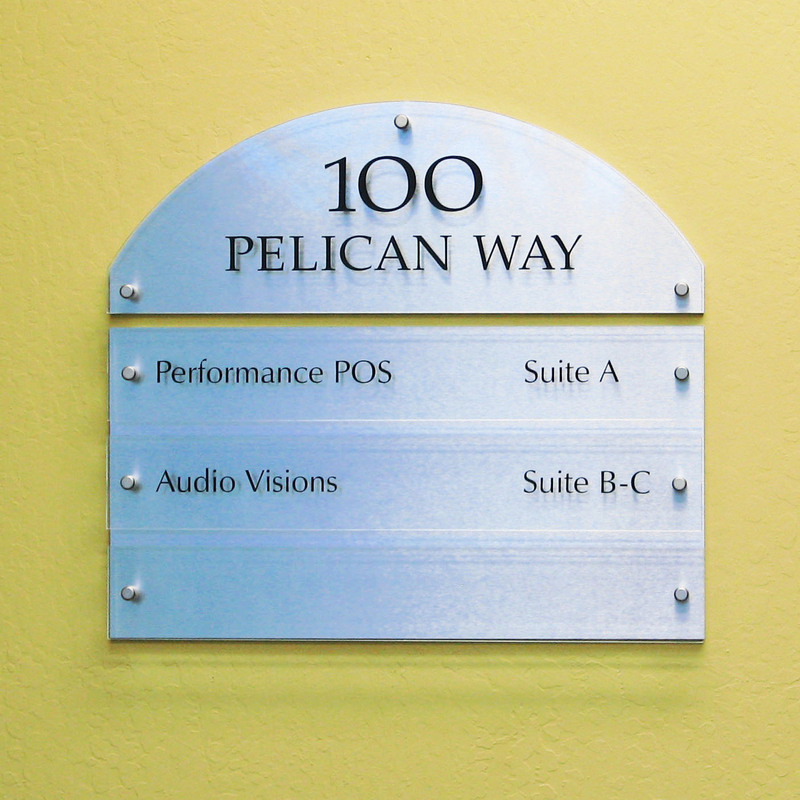 With Pelican Way office suites we integrated brushed aluminum, tempered glass, and vinyl lettering for a low maintenance and timeless wayfinding design. This wayfinding sign is also an exterior monument sign. 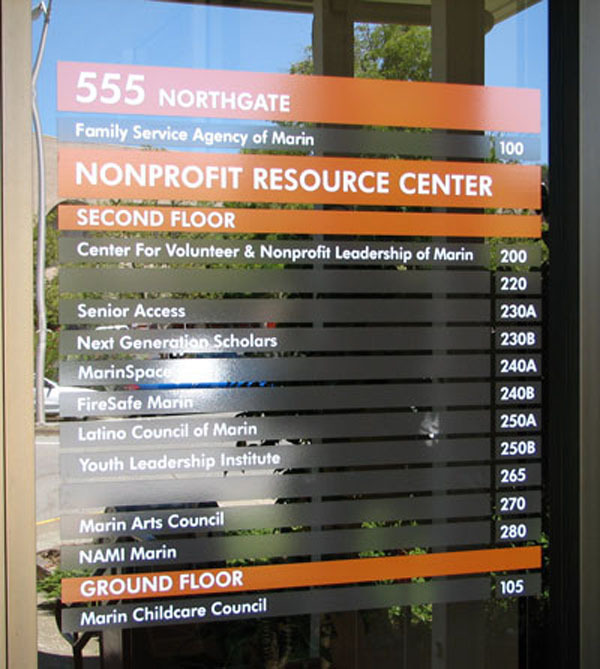 This wayfinding sign utilizes custom frosted acrylic, with natural grass embedded, vinyl lettering and ADA compliant braille. 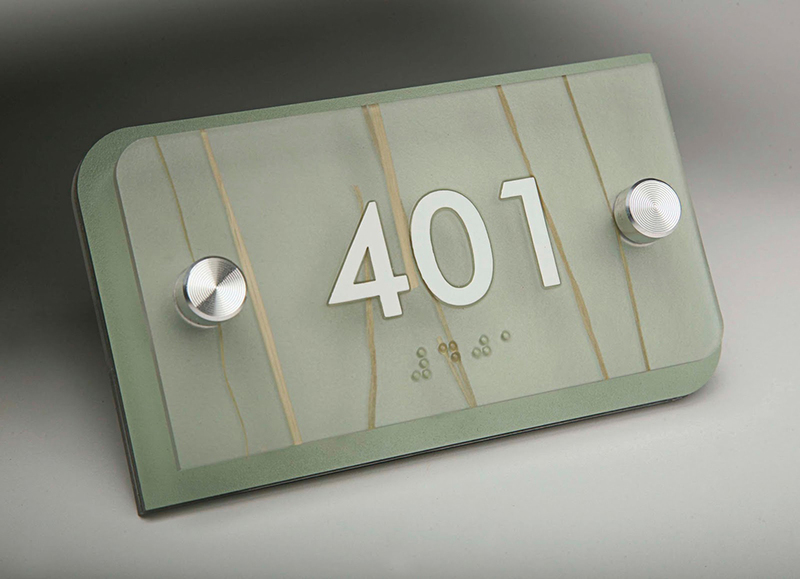 This wayfinding sign utilizes custom frosted acrylic, with natural grass embedded, vinyl lettering and ADA compliant braille. This was part of a large office suite wayfinding program. Directory & wayfinding signs guide your customers experience from the moment they step foot onto your property. Attractive directory & wayfinding solutions are essential for helping people find their way around shopping centers, housing developments, office buildings, retail stores, events and more. Let us partner with you to take the guesswork out of creating a flexible and affordable wayfinding program for your business. Don’t wait–give us a call at 707-887-1303 or contact us today to request FREE estimate, to discuss how we can help created a Directory and Wayfinding Sign program that is right for your business or commercial property.